Also known as the California State Lottery, one of the finest in the USA on the West Coast. While the cash option usually is chosen, the SuperLotto Plus annuity is graduated. Effective May 11, 2013, the jackpot will be paid out over 30 years, in order to be consistent with other jackpot games which pay out over 30 years and in response to record low long term interest rates which would challenge the lottery from increasing jackpots by the minimum $1 million per draw in the future. The cash value will now be guaranteed. The graduated payments begin at 1.81% of the jackpot amount and rise exponentially such that the final payout is 5.56% of the advertised jackpot amount. Previously, the first payment was 2.5 percent of the annuity value (or share) of the jackpot, with the second installment 2.7 percent. The remaining 24 payments increase by 0.1 percentage point yearly, so that the final (26th) installment represents 5.1 percent of the prize. The California Lottery has offered a number of jackpot games, beginning with its “6-49” game in 1986, which became a 53-number game (drawing a seventh, “bonus” ball) in 1990, then changed again, to a 51-number game. The current variant, 5/47 + 1/27, began in 2000. On February 16, 2002, the California Lottery’s then-highest payout of $193 million was split by three tickets. Other big jackpots include $72 million in 2007 and $56 million in 1995. They are posted every day and all past numbers. Many people have found old lottery tickets in their pockets, wallets and purses and become wealthier. So checking the lottery numbers online is important. Antonio Velasquez lives in a quaint community. It’s the kind of community where everyone knows each other’s names, even the Postman’s name…or the Postmaster’s name. So it’s no wonder that Antonio’s name will sound familiar to those in Lake County. 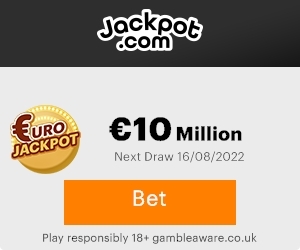 Only now he won’t simply be known as Antonio Velasquez, the retired Postmaster, he’ll also be known as Antonio Velasquez, the winner of a $14 million SuperLotto Plus jackpot! Student Claims Multi-Million Dollar POWERBALL® Prize! It’s the news we’ve been waiting for. We now know who purchased one of the two tickets that matched five numbers in Saturday’s historic POWERBALL draw. These tickets missed the record POWERBALL jackpot by just one number, but are each worth $2,309,228! Not a bad consolation prize, and you’ll soon see that it’s not a bad story either! Michael Garcia bought his lucky POWERBALL ticket in San Jose. He’s only 22 and a full-time student at San Jose City College. We found out that his education played a role before, during, and after his win. As many of you know this is finals week on many California campuses. So, late last week Michael said he dragged himself to a nearby 7-Eleven, located at 2440 Almaden Expressway in San Jose (Santa Clara County), to buy two Monster energy drinks. You see, he needed a jump start to continue studying for his exams.